We've included these beaches for you: Surfers Paradise Beach and Dicky Beach. For shopping fun, head to Pacific Fair Shopping Centre or Queen Street Mall. Change things up with these side-trips from Brisbane: Ripley's Believe It Or Not! Surfers Paradise (in Surfers Paradise), Slideways - Go Karting Gold Coast (in Nerang) and Anthea Polson Art (in Main Beach). 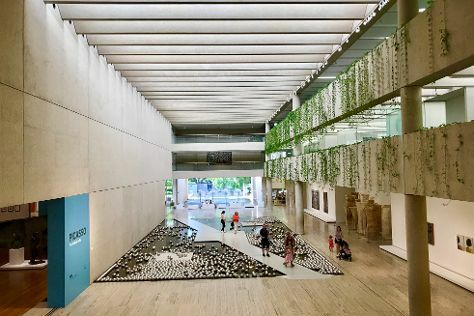 Next up on the itinerary: explore the world behind art at Queensland Art Gallery, see the interesting displays at Mapleton Observatory, savor a hot drink at The Henderson Gallery, and look for all kinds of wild species at Lone Pine Koala Sanctuary. For where to stay, maps, ratings, and tourist information, you can read our Brisbane day trip tool . If you are flying in from India, the closest major airports are Brisbane International Airport and Gold Coast Airport. In September, daytime highs in Brisbane are 28°C, while nighttime lows are 15°C. Finish up your sightseeing early on the 21st (Sat) so you can travel back home.